The Social Sciences and Humanities research communities face a fragmented research landscape that can be supported by EOSC. 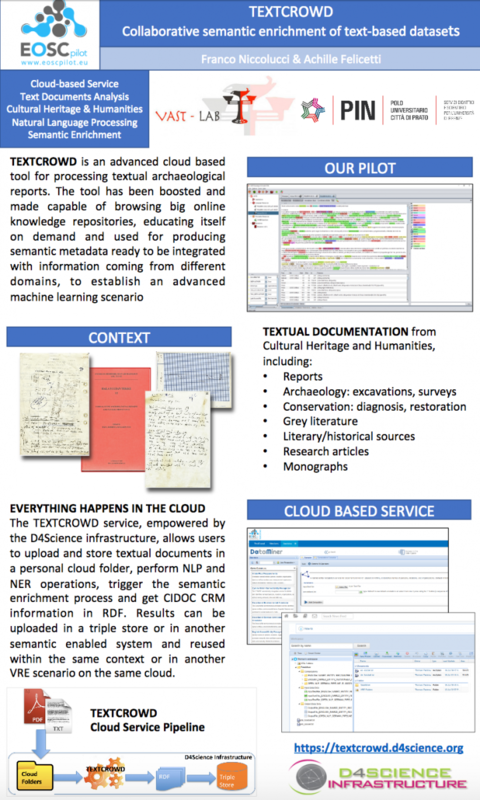 The EOSC would help overcome such fragmentation, by building on structuring and integrating initiatives such as the CLARIN, DARIAH and E-RIHS ERICs, and Digital Humanities Organizations (e.g. their Association ADHO) to offer advanced text-based services addressing common research needs. One example is enabling the semantic enrichment of text sources through cooperative, supervised crowdsourcing, based on shared semantics, and then to make this work available to others via EOSC. This would benefit many scientists in the long-tail even if delivering such a service presents real challenges around interoperability and multilingualism.